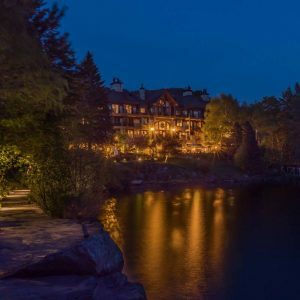 The Fairmont Mont Tremblant is at the foot of the ski hill in Tremblant resort, north of Montreal. 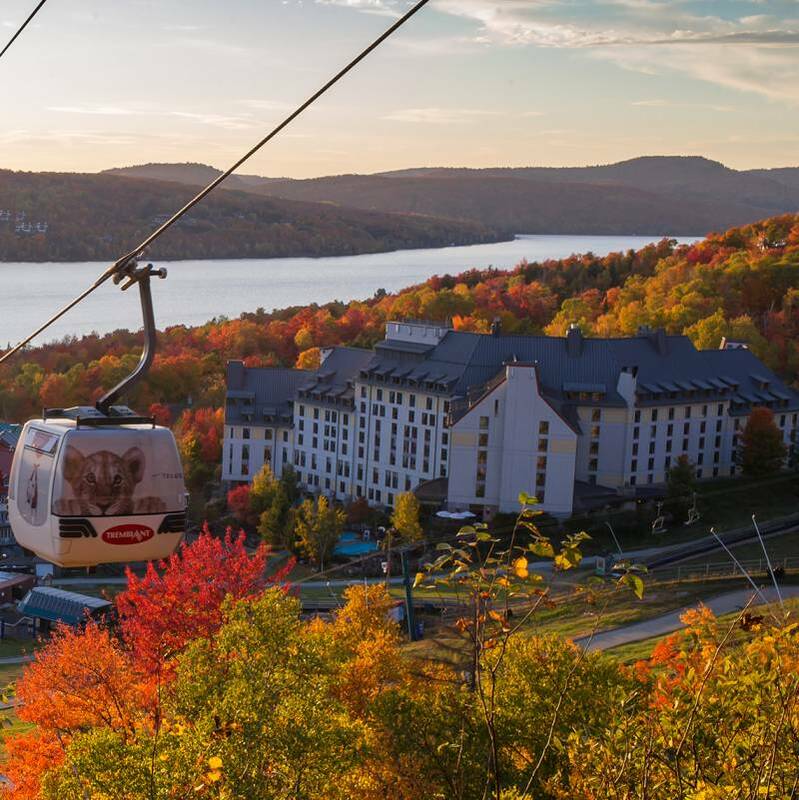 The Tremblant ski resort becomes a summer playground when the snows melt, offering hiking and mountain biking, canoeing rafting, kayaking, rock climbing and horse riding, ATV and an Acrobranche course swinging high amongst the trees. 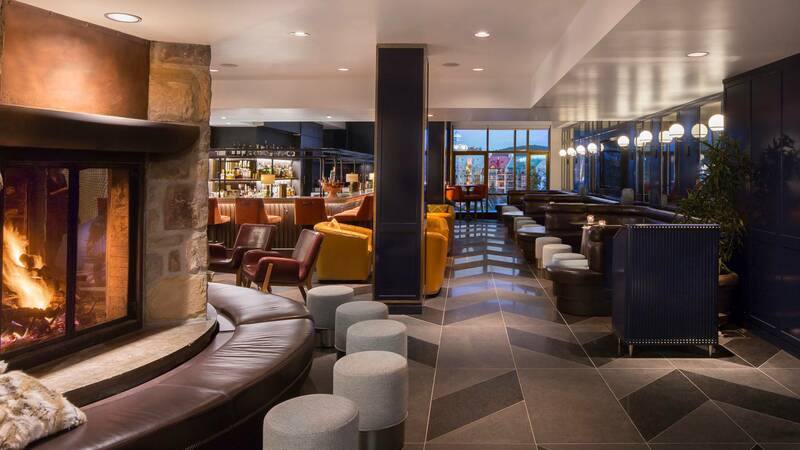 The Fairmont is the premier hotel in Tremblant with lovely big rooms in vibrant colours to reflect the history of Quebec and its many legends. Amerispa, large therapeutic hot tub and Jacuzzis, swimming pools, excellent dining and its own beach are just some of the amenities on offer. 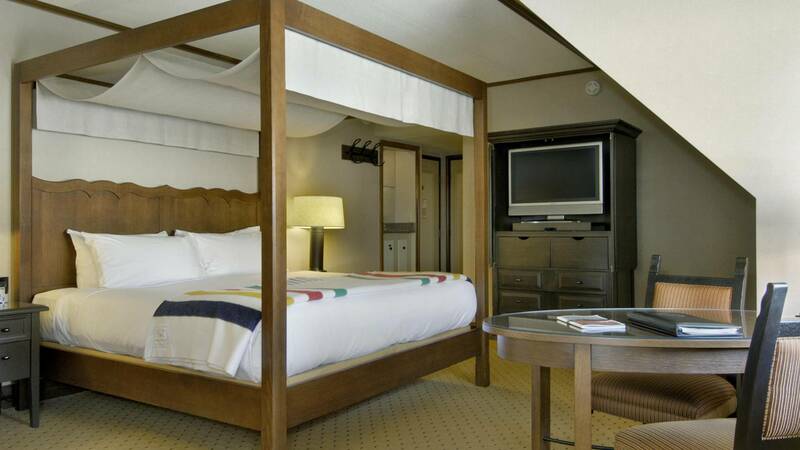 Fairmont rooms – generously sized having either one king or two double beds. 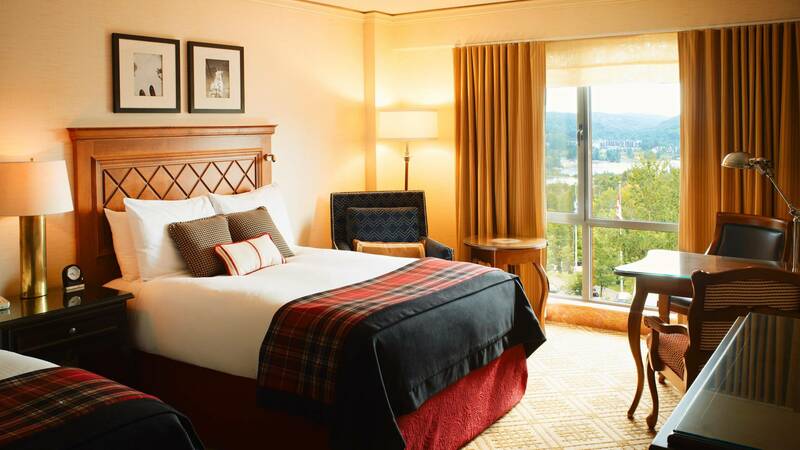 Deluxe rooms – these are the largest room at Fairmont Tremblant and include a sitting area with a sofabed and armchair; they are perfect options to accommodate a family for up to six people. They have one king or two queen size beds and a sofabed. Suites: There are a number of junior one- and two-bedroomed suites some with kitchenettes. 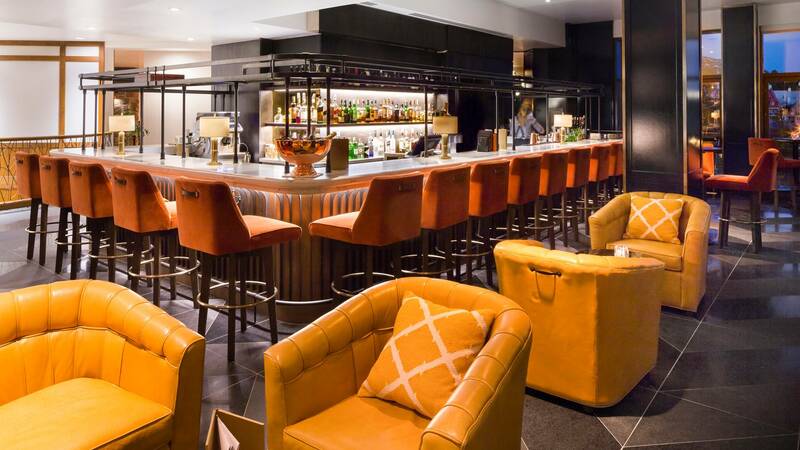 A first class hotel with a friendly and warm atmosphere.